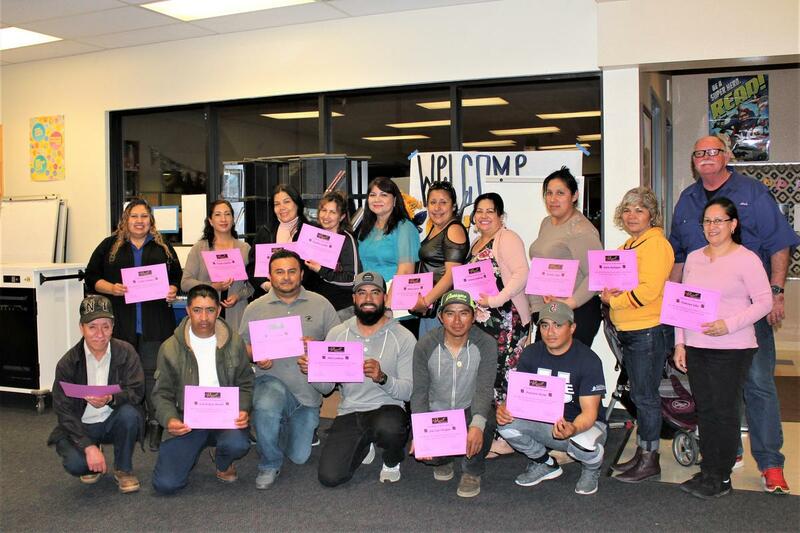 On Thursday, March 28, 2019,the Title 1 Office at Golden Valley High School hosted a culminating pot-luck to celebrate the completion of the Spring session of Parent Project. 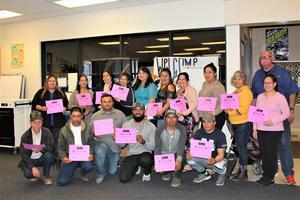 Twenty-one parents completed the ten-week class designed to help them discover and practice strategies for successful parenting. Eight teens completed the Teen Component class where they learned lessons in self-esteem, communication, and other social/emotional skills. In addition, 13 children participated in the family literacy portion of the program, where they read stories, made crafts, and played games. Please join us next school year for our fall session of Parent Project classes. Special thanks to Jane Hurttgam, Title 1 Coordinator at Golden Valley and the rest of the Bulldog Staff that helped make this night memorable for parents, teenagers, and children as they strive to be #BulldogSTRONG.